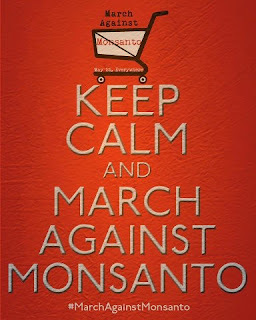 Two million people in 436 cities in 52 countries marched on Memorial Day 2013 in protest against Monsanto Co., a NYSE biotechnology corporation with nearly $12 billion in annual revenues. Yet, most Americans are clueless about Monsanto, its products, its policies, its protesters... and clueless about how Monsanto directly dictates the quality and content of most food consumed by their families. So, my friends, here are a few very basic facts about Monsanto, and why you should care about this ultimate fake-food manufacturer's poisonous products. 1. Agent Orange was jointly manufactured by Monsanto and Dow Chemical. Agent Orange, a lethally toxic herbicide and defoliant, was used by the U.S. military in Vietnam for 6,542 "spraying missions" of forests, foliage, and food crops over ten years. 2. DDT, PCBs, and dioxin-based pesticides, herbicides, and insecticides are among the intentionally toxic products manufactured by Monsanto over decades, and used as long as legally possible, regardless of scientific findings and medical results. Dioxin was the active ingredient in Monsanto's Agent Orange. 3. RoundUp (glysophate) is Monsanto's successor herbicide to DDT, after DDT use in the U.S. was banned in 1972. RoundUp is so profoundly toxic that it could eradicate weeds nearly overnight. 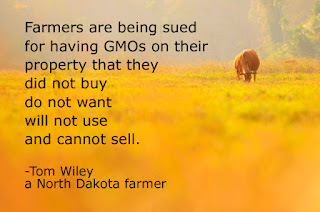 Farmers worldwide were induced and enticed to rely on RoundUp to protect their fields. However, crops predictably withered under a virulent blanket of RoundUp. 4. 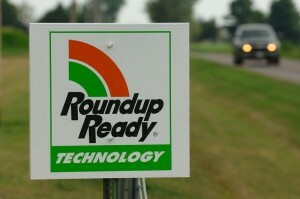 RoundUp Ready are crops altered by Monsanto to withstand the usually lethal onslaught of RoundUp herbicide. The crops are engineered by genetically modifying (GMOs) the plant's natural structure and chemistry to withstand RoundUp via absorption and shedding. RoundUp Ready products predominate certain U.S.-grown crops, including corn (73% of all U.S. corn) and soybeans (93% of all U.S. soybeans), as well as alfalfa, sugar beets, canola, and more. Monsanto-related GMO crops are found in more than 70% of foods found in large U.S. grocery stores. 5. Cancerous tumors in rats have been definitively linked to ingestion of RoundUp Ready corn. No testing has been performed and results publicly released of the carcinogenic or other toxic effects of Monsanto's GMO crops on humans. Also, "Recent research claims that Monsanto's Roundup Ready genetically modified crops contain an organism, previously unknown to science, that can cause miscarriages in farm animals." (Source - Huffington Post) No testing has been performed to determine if RoundUp Ready can cause miscarriages in humans. grown financially dependent on Monsanto agri-technology, must buy crop seeds anew annually. Throughout history until Monsanto, farmers traditionally saved seeds from their best crops for future plantings, a practice that produced stronger and more desirable crops over the ages. Monsanto has effectively eliminated this natural selection process in favor of it genetically engineered, highly profitable products. 8. U.S. farmers have been sued and harassed in droves by Monsanto for allegedly growing RoundUp Ready crops without paying up the commensurate yearly fees. 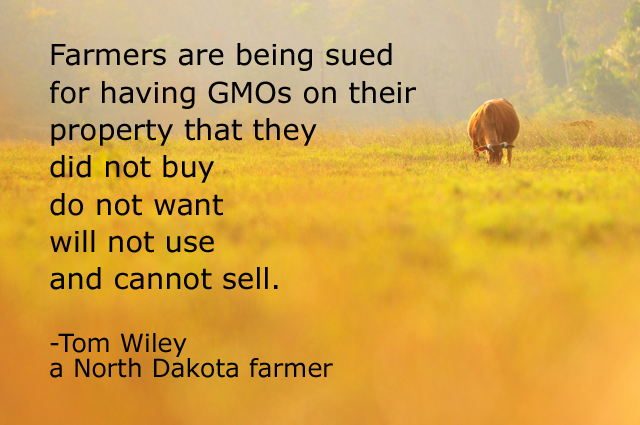 This can occur when farmers plant second-hand seeds, and especially from contamination by neighboring GMO crops. 9. Congress passed the Monsanto Protection Act earlier this year as an quietly obscure part of larger legislation to avert shutdown of the federal government. The Monsanto Protection Act permits the U.S. Agriculture Department to plant, or approve planting, genetically modified crops even if a judge has ruled against it. President Obama signed the act into law without public question or dissent. 10. GMO labels and outright bans are common around the world, but nonexistent in the United States, thanks to extraordinary political efforts and millions of lobbying dollars spent by Monsanto and ilk. Peru and Ecuador have banned GMO crops for at least ten years as "dangerous for the environment" and a threat to "decimate the rich biodiversity." 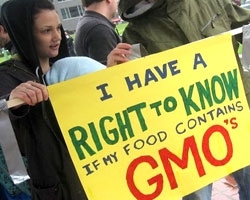 Nations as divergent as Norway, Thailand, Saudi Arabia, Egypt, and the Philippines ban all or many GMO crops and foods. And most European Union nations have stringent rules or bans on GMO crops. Yes, two million people in 436 cities in 52 countries marched on Memorial Day 2013 in protest against Monsanto Co. I don't understand why the number wasn't 20 million protesters. Or 200 million. I also don't understand why Americans are so compliantly willing to accept a diet of sub-standard, unhealthy, unnatural food that's considered by most of the world as poisonous garbage unfit for human consumption.